The object of this game is to use a rolling bot to travel from one side of the field to the next. This game is scored by a stop watch. The team with the shortest time wins the challenge. 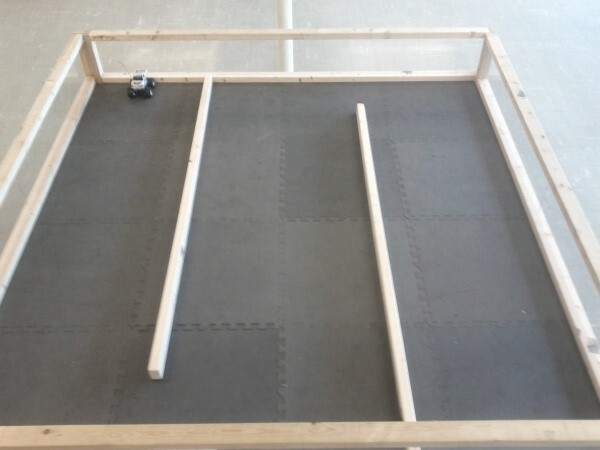 The rolling bot must start by touching the wall from one side of the field and cross to the other side and touch the destination wall in order for the timer to be stopped. The size of the maze for the above picture is 8 feet by 8 feet.